Affordable assisted living community in the heart of Brandon. We have 88 units, lots of activities, friendly residents and we accept pets. Remarkable Living. Exceptional care. Come surround yourself in a close-knit community of friends where excellent amenities, hospitality, delicious dining and innovative programing enrich every day. 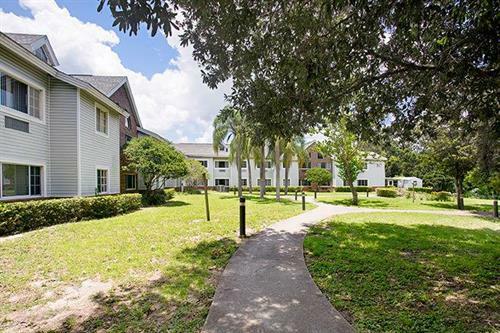 Nestled on seven gorgeous landscaped acres, Aldea Green is a premier Assisted Living facility in Brandon, FL. Our warm and experienced team of associates is here around-the-clock to provide the helping hand and senior care you or your loved one needs to continue enjoying life to its fullest. Here in Hillsborough County, our comfortable environment promotes whole-person wellness. You’ll benefit from having the right amount of assistance with daily activities like personal care, medication management, housekeeping and transportation. And with Tampa right down the road, you and your family can venture out to all your favorite restaurants, shopping and area attractions. We’re a nonprofit community, and you’ll find that everything we do is focused on improving the lives of our residents, their family and the community we serve.